You may have noticed bar codes in the most unusual places lately. It’s because there’s a relatively new mobile marketing medium taking centre stage in North America. This started in Japan in the 1990’s, in the automotive industry and has landed in North America with a new purpose. 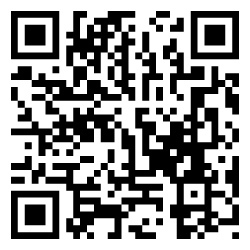 It’s called a QR Code, which is the acronym for “Quick Response” Code. A QR Code is a type of visual finger-print that is linked with encoded data, captured by connecting with a QR Code generator. Its benefits are relatively easy usage with quick readability and large storage capacity. These two-dimensional QR Codes can link to URLs that have information and special offers, and provide a great opportunity to enhance your brand and launch segmented campaigns that can be easily measured. In fact, with a well thought out strategy, you can have access to a lot of intelligence and build new pre-qualified followers quickly. According to PC World at the end of 2010 in Canada, with a population of 34 million, there are 24 million mobile devices. In the US, with a population of 311 million, as of June 2011 there are 328 million mobile devices – that’s more than 1 per person! The forecast for mobile device growth by 2013 will be over 1 billion. This defines how consumers and decision makers will be utilizing their buying power as well as taking control of how marketing and communications get delivered and retained. If your company is getting your social media strategy pulled together, consider QR Codes as a great vehicle to bring Twitter, LinkedIn, Facebook, You Tube and RSS feeds (and better utilize your website for that matter) to the front of the line for your clients, consumers and even your staff. This can be a little confusing and many executives are time starved. Kaleidoscope’s talented team can help you with your social media strategy and launch your next campaign! Tag! You’re it!